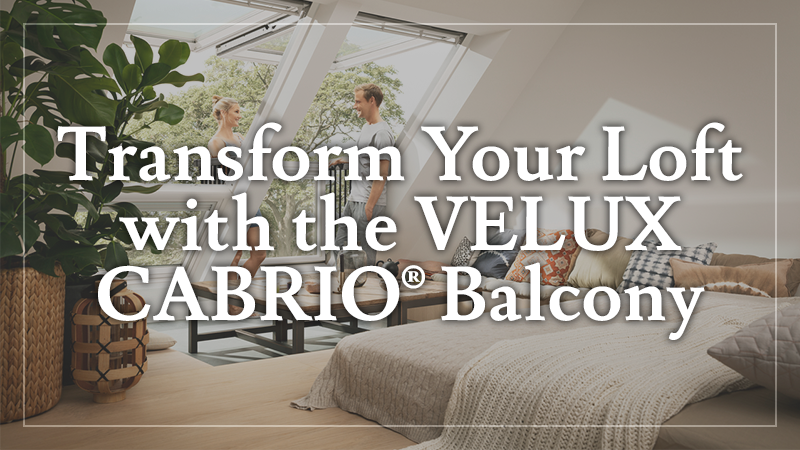 If you dream of bringing fresh air and sunshine into your loft or attic but think you are limited to ordinary windows, you will love the VELUX CABRIO® Balcony. These amazing roof windows transform the space by opening to the air and creating a personal balcony for basking in the sun or taking in the view. Imagine greeting the sunrise or watching the sunset from the vantage point of your roof or stepping out on the balcony for a breath of fresh air in mid-afternoon. 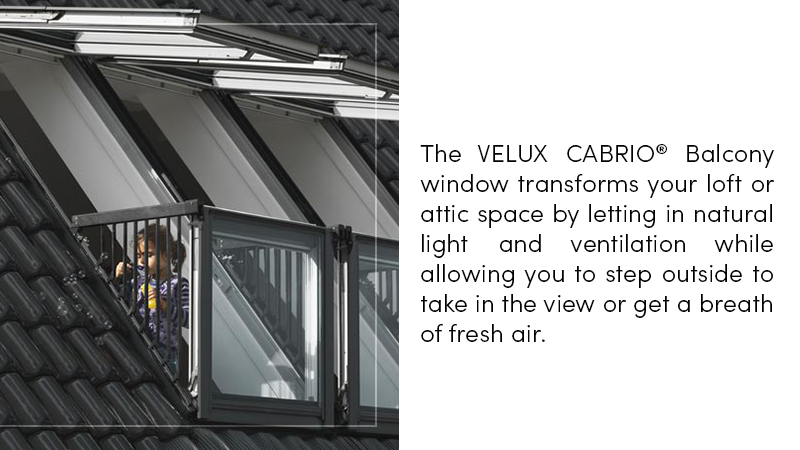 How Does the VELUX CABRIO® Balcony Work? The VELUX CABRIO® Balcony looks like an ordinary roof window when in the closed position. It lets in light and brightens the area, even when it is closed. When opened, the window transforms to a balcony, allowing you to step out for some air. This versatile roof window can also be opened and closed without the balcony as the top portion functions like an ordinary window. When the bottom section is opened, a rail automatically appears to give you space to stand or sit in the open air, making a delightful balcony for enjoying a cup of steaming coffee as you watch the sunrise or a cool drink in the late afternoon. Where Can You Install a VELUX CABRIO® Balcony? These balconies require a roof with a pitch between 35 and 53 degrees and are installed like a skylight or roof window. Because the balcony extends outward when you open the window, you do not need additional space on the inside of the window. Will it Match My Interior? Yes. The VELUX CABRIO® Balcony comes in natural pine or a white painted finish, but you can customize it and paint it after installation if you prefer. The sleek design of these window balconies blends with nearly any interior design. We can help you select the correct design to enhance the beauty of your space. Where is the Best Location for the VELUX CABRIO® Balcony? The best location depends on your goals. East facing balconies will capture the morning light filling the room with the first rays from the sun while southern windows will capture the glorious sun in the afternoon. Many choose the location based on the view and install a balcony facing the ocean or with a view of the surrounding area. Do They Need to Be Professionally Installed? 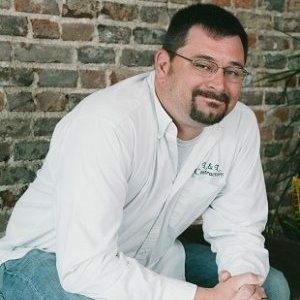 Unless you are an experienced carpenter or contractor, you will need to hire a professional like L&L Contractors to install your balcony window. We can install the VELUX CABRIO® Balcony for you, giving you the peace of mind that your new balcony meets safety regulations and will serve you for years to come. 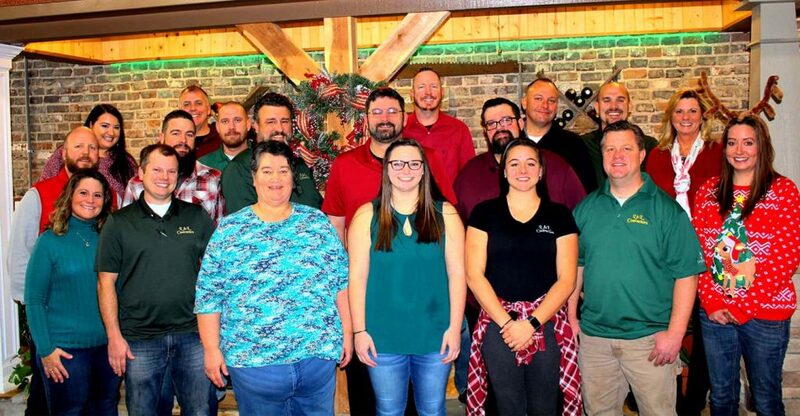 Contact us today to make an appointment and get a free estimate.